On a cold and frosty morning there’s nothing better than a big old bowl of porridge to help warm you up from the inside out before hitting the school run or facing the daily commute. Plus oats are slow release carbs meaning they are super good at keeping you feeling full up for longer and should prevent those mid-morning biscuit urges. The Great British Porridge Co. has bought out a range of natural ingredient porridge pouches that will take your porridge game up a notch. The porridge itself is vegan, gluten free, dairy free, has no added sugar, contains over 10% protein, high in fibre and contains less than 233 calories per recommended serving size. But on top of all that, and way, way up high on the list of the ‘make mummy’s life easier’ list is the fact it only takes 60 seconds to make. Simply boil the kettle, pour over the oats, stir for 30 seconds, leave for 30 seconds and then BOOM… porridge done. I was very kindly sent the Blueberry & Banana flavour porridge to try out (totes the flavour I would’ve picked!) 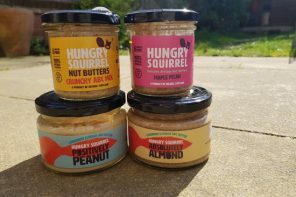 so I thought I’d try it out on my own porridge loving Goldilocks (my 8 year old fusspot daughter – if she doesn’t like something… you know about it!) and give you the lowdown. 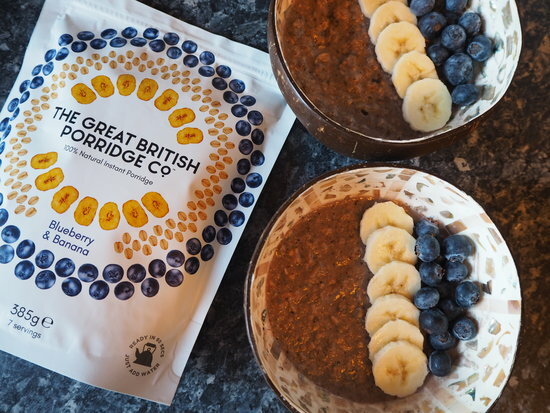 Containing gluten free wholegrain oats, dates, sunflower seeds, coconut milk, maltodextrin, corn starch, chia seeds, banana and blueberries, The Great British Porridge Co. porridge is clearly way more than your bog standard bowl of oats. 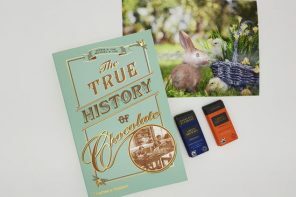 The big question is… will I a) be able to convince my daughter to eat it in the first place and b) is it gonna live up to her usual sugar ridden packet porridge of choice? 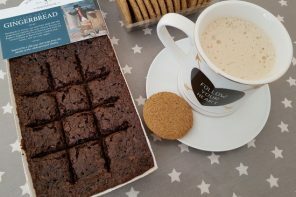 We decided to make the porridge up together – from her point of view she loves anything to do with baking and preparing food and from my point of view I figured she’d be more likely to give it a try if she’d had a hand in making it. 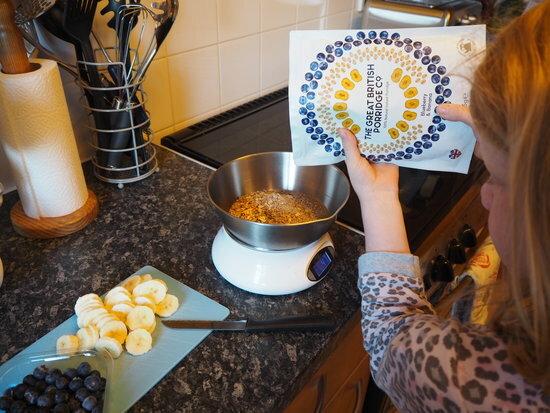 Her job was to read the packet, weigh out the oats and arrange the fruit on top – ummm hello gold star to me for getting literacy, maths and art covered at breakfast time! As I mentioned before, it’s ridiculously easy to make so it didn’t take long before we were sat at the breakfast table ready to stuff our faces with purple coloured porridge. And would you believe it… she liked it. She liked it a LOT! She didn’t even moan about the crunchy seeds, which I totally thought she’d take issue with. I loved the crunchy texture of the seeds and thought it gave the porridge more substance. But if I’m 100% honest (which I always am) I couldn’t really taste the banana and blueberry flavour and without the addition of sliced banana and blueberries on top I’m not sure I would’ve enjoyed it quite so much. With that being the case, I would definitely recommend that if you have the time it’s worth topping with fruit, and hey that way you’re cramming in even more nutritious goodness and you’ve cracked two of your 5 a day before you’ve even left the house. Winning on all levels! As a mum, I love the fact it’s a speedy healthy breakfast that’s perfect for those mornings when the kids are dragging their heels, you’re screaming at them to get dressed, brush their hair and stop hitting one another, and you’re running around like a headless chicken trying to ensure they’ve got something filling and nutritious in their tummies. 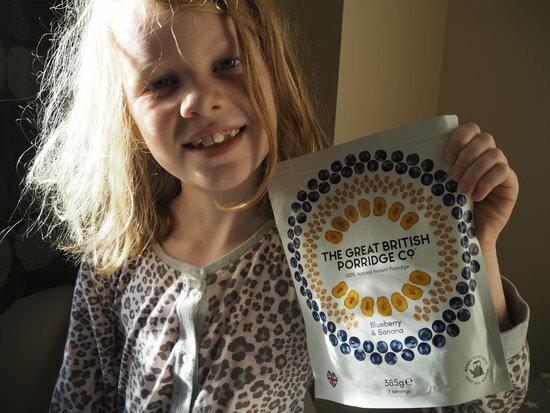 Priced at £4.99 and available from The Great British Porridge Co. website, it’s well worth giving these porridge pouches a go. Hey if it passed my little Goldilocks’ taste test, it’ll pass anything! It Passed The Goldilocks Test! Next articleThai Taste Meal Kit Review: Create Quick Tasty Thai Dishes At Home! 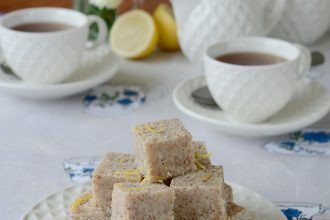 Citrus, Cashew and Coconut are all included in these scrumptious sweet treats that are perfect for high tea with friends through to school lunchboxes….